The 2018 Seahawks season is here! 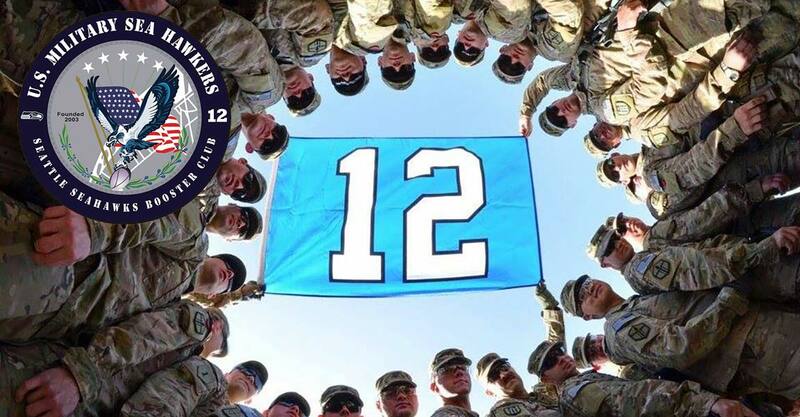 1) For those who requested tickets at militaryseahawkers.org/2018-tickets, please check your spam folder. I had one person tell me the email about paying for tickets ended up there. 2) We still have Cardinals, Chiefs and Chargers tickets. But I may put people on a waiting list for Chiefs and Chargers to give time if too many of my emails were going to spam. 3) An email went out to recently subscribers about a local volunteer opportunity. Football season is here! The Seahawks kick off against the Colts this Thursday evening for the first preseason game (not scheduled to air on AFN/DTS). We’re going to TRY to continue to tailgate at the same spot as previous years. If that ends up changing, I will send an email to our newsletter subscribers. It should be an interesting season. After the departure of Richard Sherman, Kam Chancellor, Cliff Avril, Michael Bennett, Jimmy Graham and Paul Richardson, it seems as though quite a few members of the national media are counting this team out. A USA Today writer projected Seattle to have a 4-12 season! Listening to him on local Seattle radio, I expected to hear him project that Russell Wilson would get injured — but nope. 4-12 with a healthy Russell Wilson? A CBS writer went one game better and projected them at 5-11. So our Seahawks appear to be back to being underdogs, which historically has been a good spot for them. As a fan, I’ve always felt more comfortable in that spot, too. Looking forward to our team proving these doubters wrong!